“in” or “cool”, let’s be clear on that. But my focus now is laser sharp on me. What makes me feel good. What doesn’t. I’ve discovered that healthy fats are essential to our diets. All of us. Not just athletes. Not just people who want to lose weight or get strong. This is what I’ve learned, feel free to use whatever possible to help you and your family. And the disclaimer still stands. I’m not a nutritionist, registered dietician, or health coach. I’m just an enthusiast who wants to feel good each and every day and I want the same for you. 1. What are Healthy Fats? 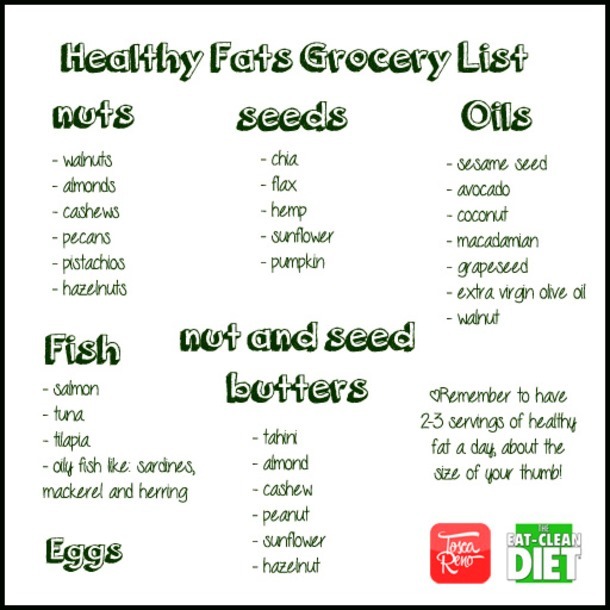 Healthy fats are fats that are found naturally in food. Real, whole foods. Once a food is processed, then natural fats are generally stripped out to modify the food in some way. Dairy is a perfect example. Cows produce one type of milk. One kind. Yet, there are how many different options of milk at the supermarket? Whole (real milk), 2%, Skim, 1%, Chocolate, Strawberry, etc. Take this a bit further to the yogurt aisle and depending on where you shop, you may not even be able to find real, whole milk (grassfed) yogurt. The food industry processes dairy products to strip out fat & insert sugar, fake sugars & flavors to make it taste better. The sugar & chemicals inserted by the food industry activate the same part of our brains as the drug heroine. Its addictive. If we are addicted to sugar & chemical laden foods, we eat and BUY more of it. Nuts & Seeds – Raw, unsalted nuts. Almonds, Macadamia Nuts, Walnuts, Chia Seeds, Flaxseed, etc. Nut & Seed Butters – Be careful with these! Look for Natural, Organic products. Always read the ingredient list. It should be short and just include the particular nut/seed + maybe salt. 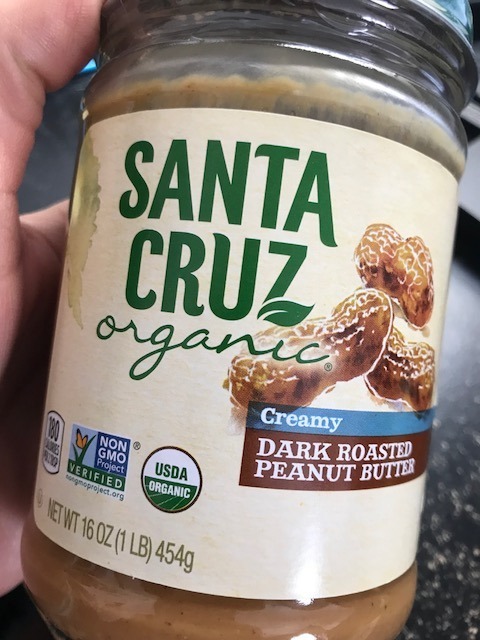 See the ingredient list from the one I just pulled from my cabinet for reference: Organic Roasted Peanuts, Contains 1% or Less of Salt. Full Fat Dairy – Organic, Grassfed, if possible. Eggs – Farm Raised, Locally Sourced, if possible. You want chickens that are walking around eating bugs and different plant materials. They will make the best nutrient dense eggs. Salmon and Tuna – Wild Ocean Caught, not farm raised. Sustainability is an issue with anything from the ocean; however, farm raised fish has issue with diseases due to dense populations. Secondly, farm raised fish are usually fed a kibble type product that is a combination of soy & corn, among other things. The majority of soy & corn in the US is contaminated with GMOs. Lastly, farmed fish, salmon in particular have up to 50% less Omega 3s, the healthy fat that you’re looking for in the first place. PLEASE NOTE – If you shop at Costco or places that sell “fresh” fish, look at the ingredients label. I noticed awhile back that most of the “fresh” salmon at a major retailer, has dye injected into the fish, along with preservatives, to keep the salmon looking pretty as it sits on the shelf. I buy frozen Wild Caught Sockeye Salmon now. Olives – Check ingredient labels. A lot of olives have extra “stuff” in the ingredient list that we don’t need. Oils – Avocado, Coconut, Nut/Seed Oils (Walnut, Pine, Cashew, etc), Extra Virgin Organic Olive Oil. Be careful with Olive Oil, many of those sold in the US are not a good quality or contaminated with GMOs. I tend to use Avocado Oil as my default. Good reputation. Nice Consistency and great flavor. 2. Why Healthy Fats? This was certainly a BIG question for me personally after avoiding fats for so many years. The idea of buying full fat milk and real butter was just almost more than I could wrap my brain around. However, the science is there. Real science that’s waiting to be read, shared & acknowledged. Supports brain function. Our brains are made up of fat themselves, almost 60% actually. Healthy fats stimulate new brain cell growth and improves memory. Helps the absorption of key nutrients that are required for cognitive health. Protects the brain from toxins. And improves mood & alleviates depression. Supports Metabolism. Increase fat burning and energy production. Keeps us full between meals. Fats are burned at a slower rate. They also trigger the release of hormones to tell our body we are full. Keeping us satisfied longer. Helps the body absorb key nutrients. Improves body composition thanks to increased fat burning capabilities. 3. How Much Healthy Fat Do We Need? THIS is the million dollar question. I think we have a bit of a “fat” craze going on right now. Many of my friends are super skinny after adopting a ketosis type diet. Terms like Metabolic Efficiency and Fat Burner are becoming common. Carb Cycling is happening at every gym in the area. So what’s normal, for someone who just wants to be healthy? It looks like the the average dose of healthy fats for a normal person is 2-3 servings per day. What’s a serving? 1 TBS of a clean oil or a thumb size chunk of an avocado. Or a few nuts in the palm of your hand. If you have salmon for dinner, plus a veggie & half of a sweet potato with butter, then count that as 2 servings of fat. The salmon & the butter on the sweet potato. When its broken down like that, its not so hard. 4. Warning About Healthy Fats. Super easy to overeat. Fats taste GOOD! Yum!! I’ve been eating healthy for years but just consciously added healthy fats into my diet over the last year & a half. Initially I did too much! I even used a Metabolic Efficiency program once but the guidelines were very loose. The participants kept asking “how much fat do we need?”. The program designers would just say, “eat some with every meal”. Some? How much is that? So I’d eat 3 eggs with a side of avocado & bacon. 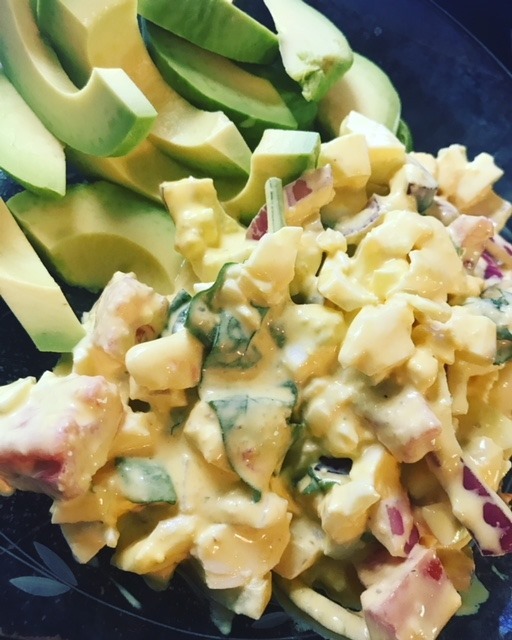 Or Avocado Mayo Egg Salad with a side of Avocado. Salmon, 1/2 sweet potato w/ butter & a salad with avocado oil dressing. Everything tasted AMAZING but I suffered from free styling the program. There weren’t set guidelines. No macro counting. Not enough information for me & I was doing it wrong. I didn’t feel awesome. I gained weight. Yep. Too much healthy fat! I’m currently doing a carb cycling program with HiggsLifestyle. Lots of info. We were told exactly what to eat, in what portions & exactly how much fat. Our current fat percentage is about 50% of our daily diet. THIS is working for me. I’ve dropped all my weight that I’ve been holding onto for the last several years. However, this may not be the right combo for everyone. My sister is currently doing a carb cycling program with her gym & they are using 70% fat for the day. I know from past experience that this would probably be too much for me but its working for her and the participants in that program. Bottom line, there are lots of different programs currently focusing on healthy fats & how to kick start the metabolism as a result. Be careful & don’t get stuck in one that doesn’t work for you. Be dedicated to yourself, your health and finding what works for your body. 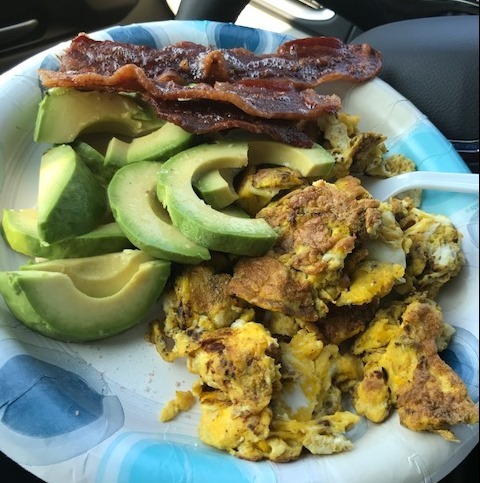 And know that if weight loss (better body composition) isn’t something you need, then 2-3 servings of healthy fats each day will lead to optimal health. Adjust as needed based on how you feel, that’s just the guideline. As always, the healthiest eating plan is one that is focused on natural, organic, whole foods. Eat a rainbow of colors. Each color of fruit/vegetable has different nutrients. Make food a priority in your life, not just an afterthought on the way home from practice or a sporting event. 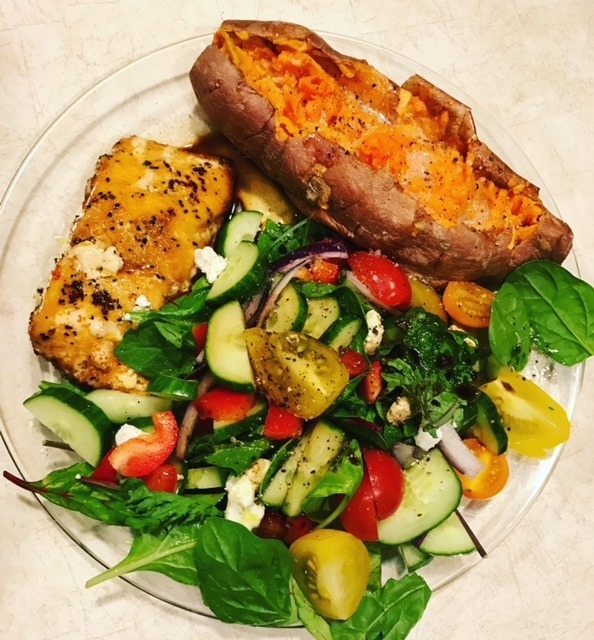 Incorporate all aspects of foods: Lean proteins, lots of veggies (some fruit), healthy carbs (legumes, brown rice, quinoa & sweet potatoes) & healthy fats. Drink water. Keep your daily added sugars under 24g per day (36g for men). Limit or avoid alcohol & sugary beverages/treats. Good luck, all. We have one life. One body. Let’s do the best for it that we are able. Back to Back Marathons, 2 Marathons in 2 Days …. Tips for a Successful Double!